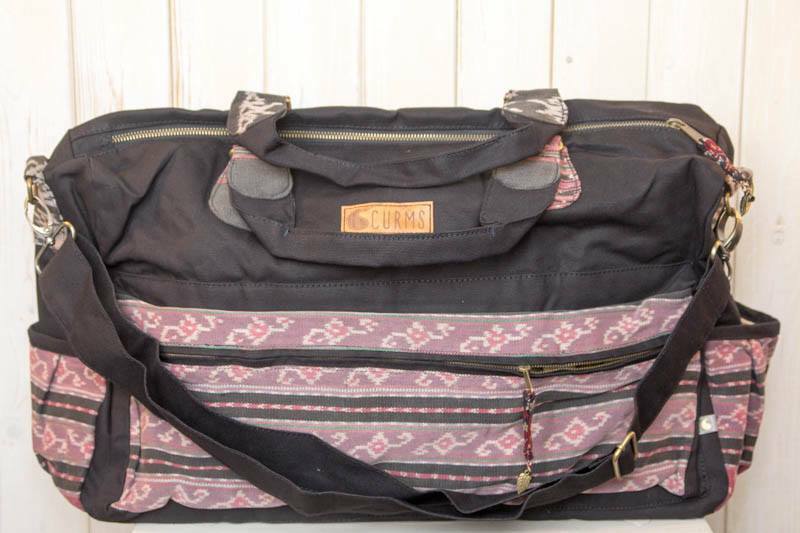 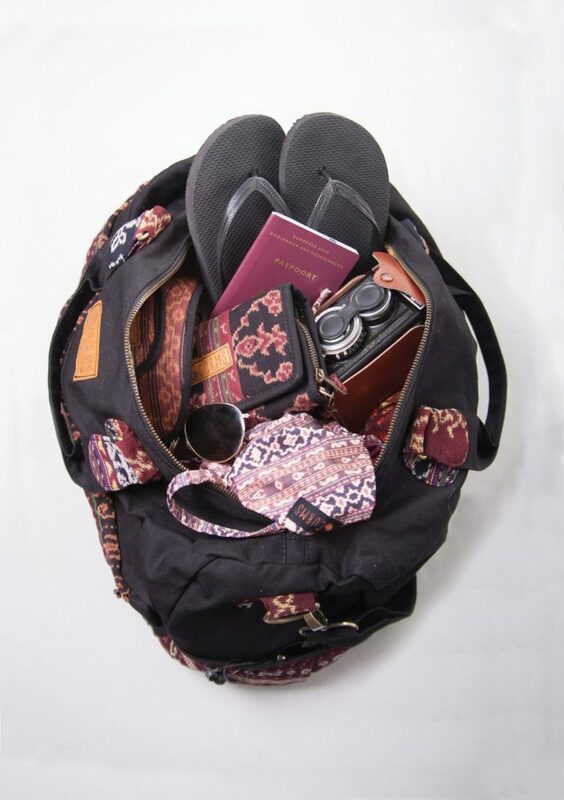 Whether you are going for a day at the beach or on a business trip for the weekend, this is a spacious bag for carrying all you need to take. 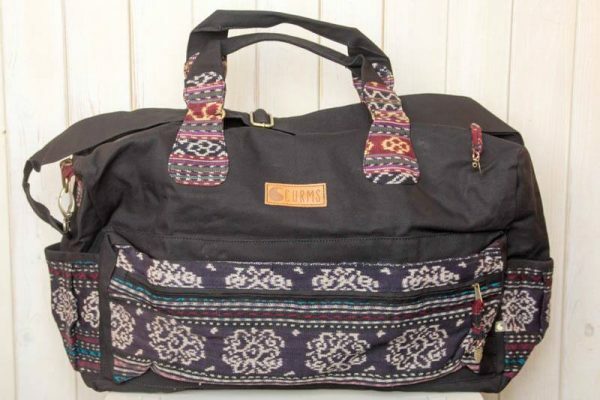 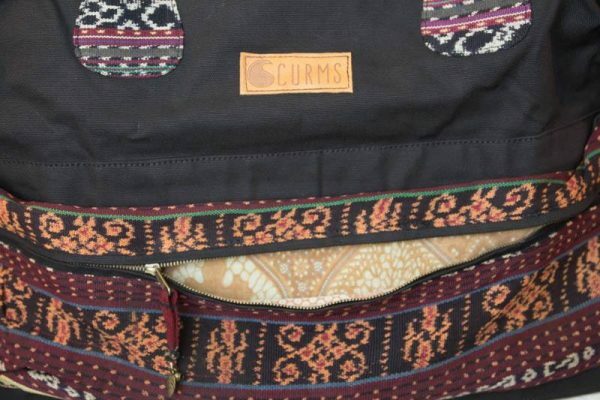 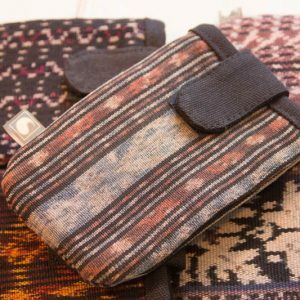 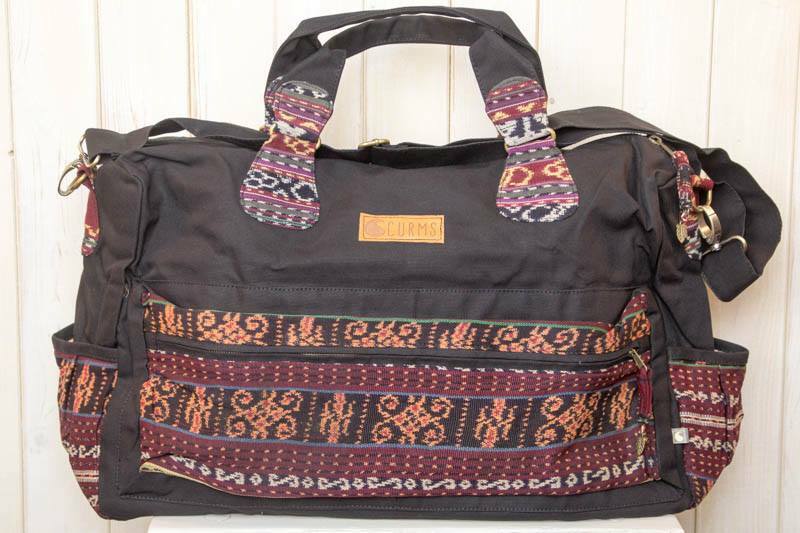 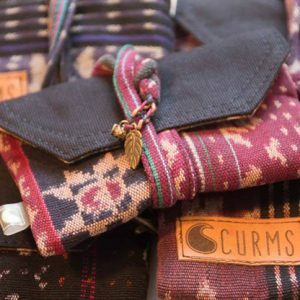 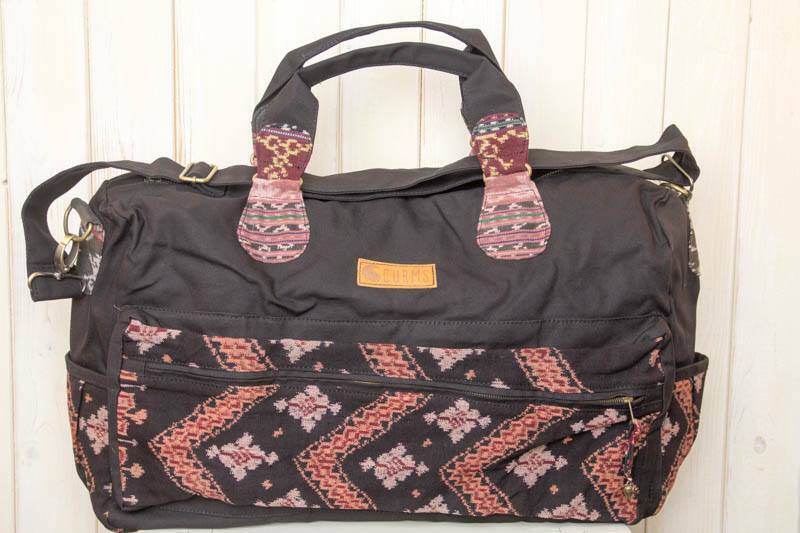 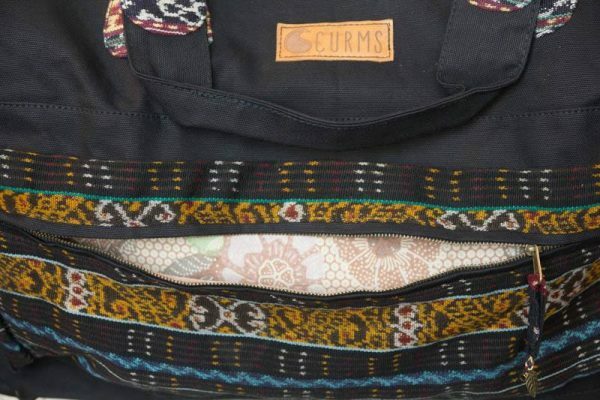 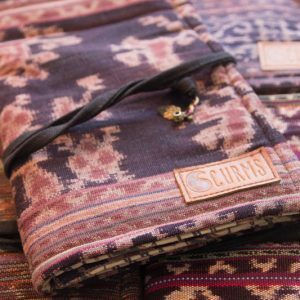 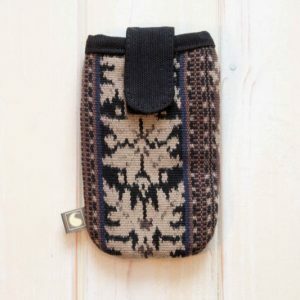 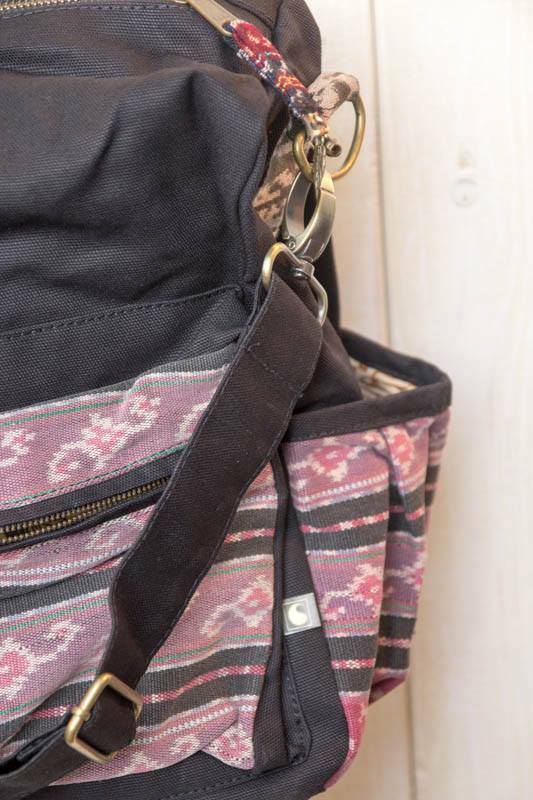 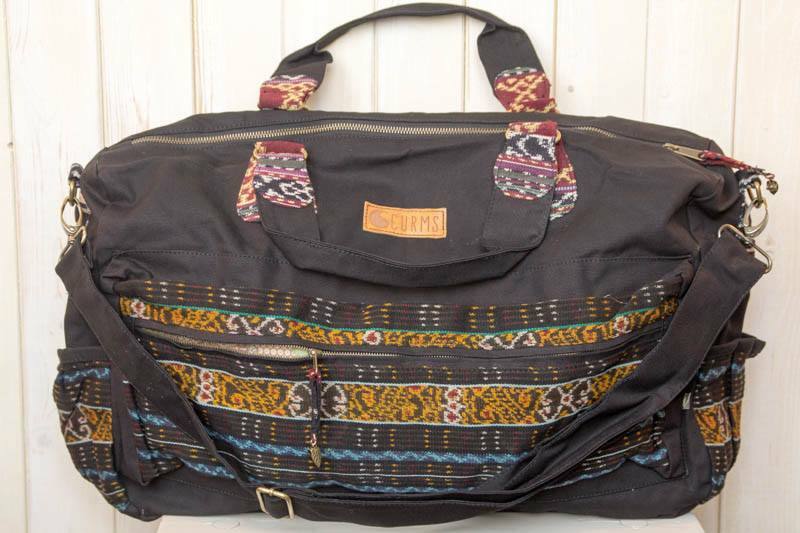 Made of strong black canvas and accents of authentic ikat from Savu or Flores. 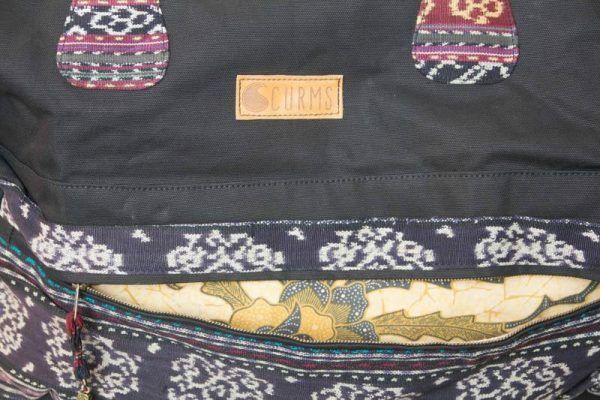 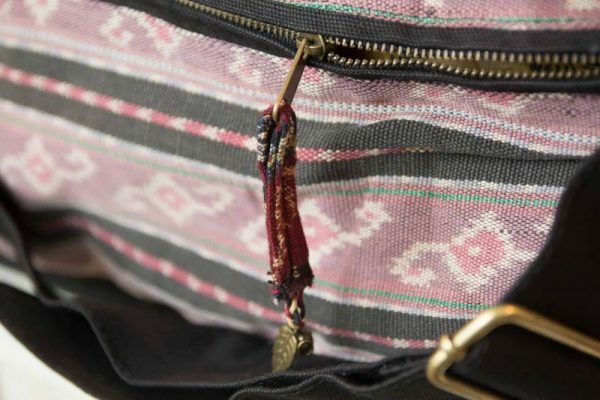 It has adjustable straps, YKK zippers, a zipped front pocket and three pockets on the inside. 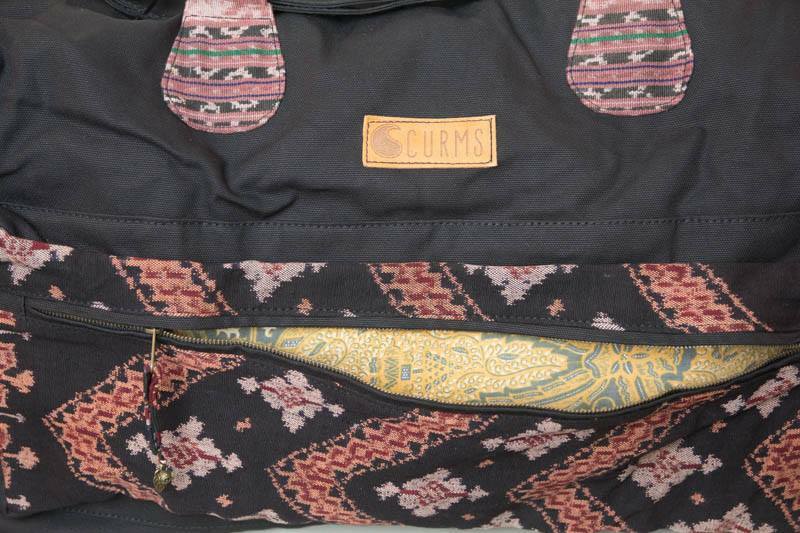 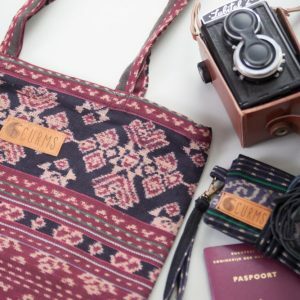 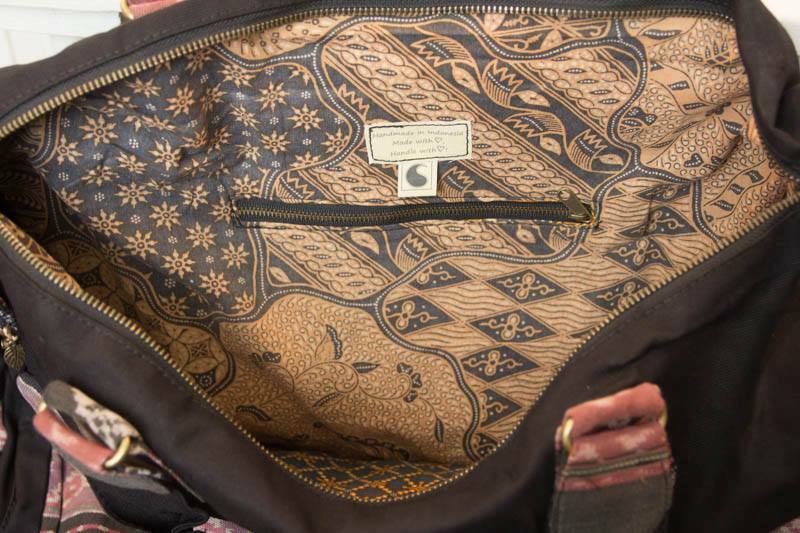 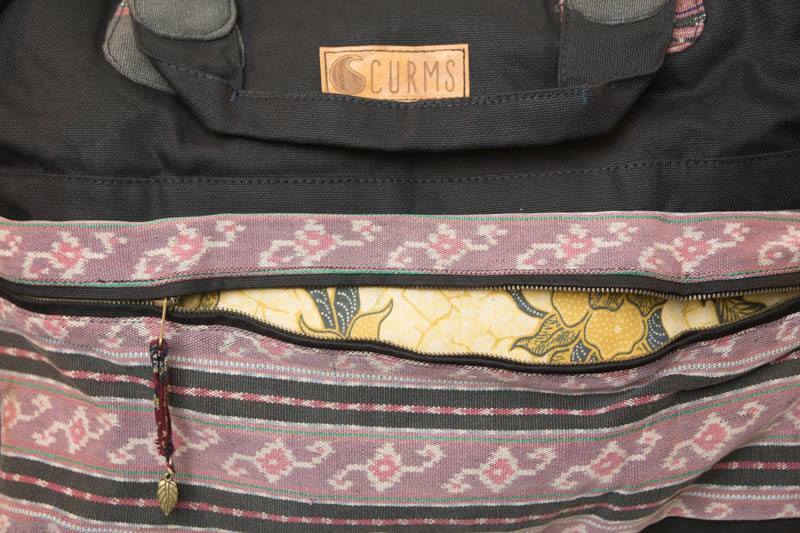 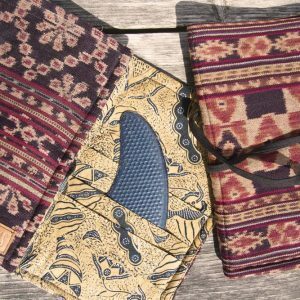 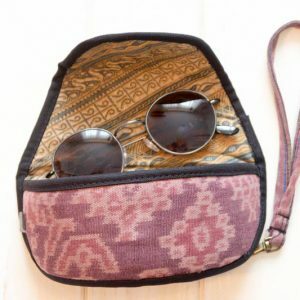 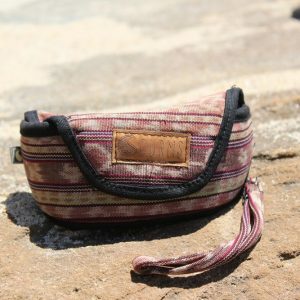 The inside is fully made of authentic batik from Yogyakarta, Java.